Sporting Experiences — Bespoke Sporting, Ltd.
Bespoke Sporting Ltd strives to become the nation's leader in unique sporting experiences. We know that this is a high standard but we are in a unique and amazing place in northern Michigan unlike most anywhere. Check out our growing offerings below to see what might fit your desires in your sporting lifestyle. 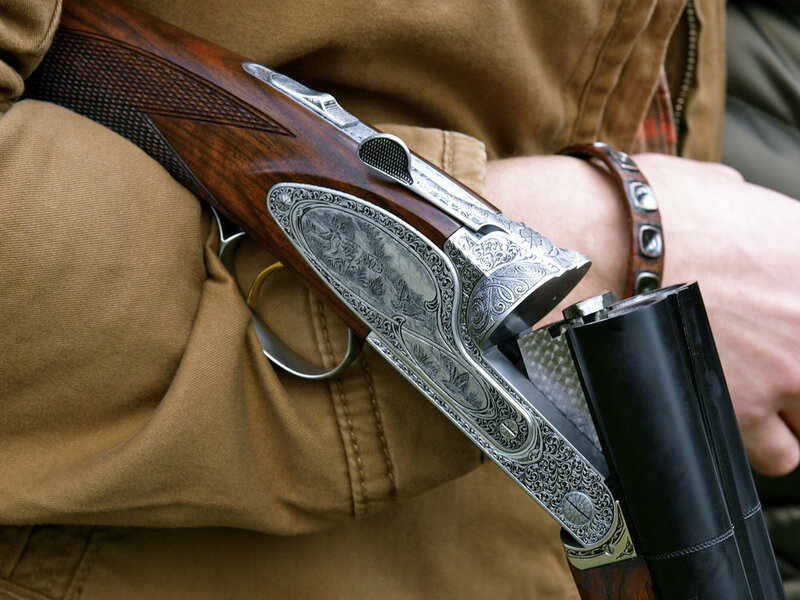 Join us for a day of custom sporting clays set up just the way you want. Maybe you want to learn to shoot sporting clays or get ready for that next tournament. Or you love to hunt and it is simulated wingshooting situations like hunting dove, quail or ducks that you want to shoot. Heck you might even want simulated driven shooting from up on our ridges and low and fast in a simulated grouse butte. We can create it all and even work in a yak burger lunch! We have the only gamebird preserve in Leelanau County! 120 acres of ridges, valleys and woods to create unforgettable upland preserve hunting and gundog training. Join us for a half or full day hunt chasing chukar and quail! British and Continental trainers in Europe tend to look at training dogs differently that we do here in the United States. They were using positive reinforecment from the beginning and focus on learning at the dog's pace versus where the trainer "thinks" the dog should be. 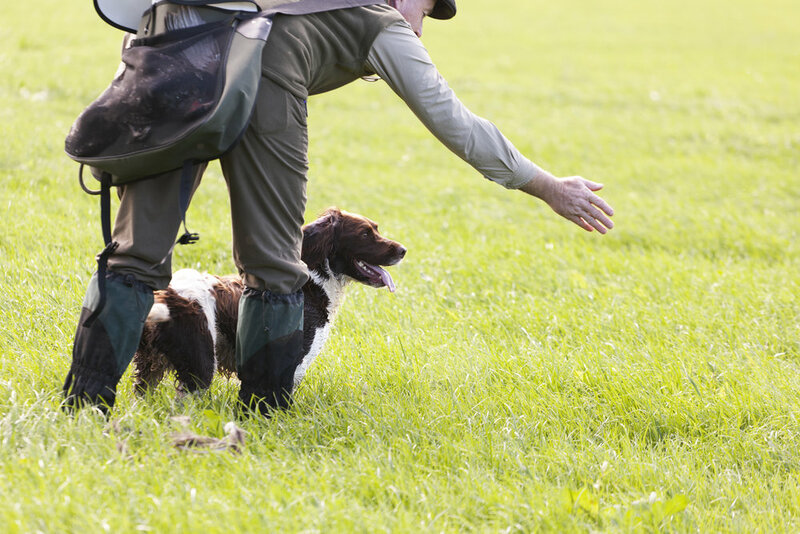 The emphasis is on relationship, steadiness and obedience so the gundog WANTS to work for the handler. We work on many of the same things as traditional gundog training, just at a different pace and progression. Learn more about how to enjoy your gundog even if you don't hunt! Most people that have chased gobblers around the Midwest have not done so in a cherry or apple orchard or vineyard. Join us for the most unusual turkey hunt you've ever dreamed of! You'll definitely have stories to tell your hunting buddies! The "north woods" is magical in the Fall as we head out to our favorite grouse coverts to chase quarry on the wing. At the same time, there are unforgettable waterfowl opportunities in kayaks and orchards for unforgettable hunts too. Join us for an unforgettable day chasing grouse, woodcock or waterfowl! Set off with Captain Chris to fish the Caribbean-blue flats of northern Lake Michigan for smallmouth, carp and the occasional lake trout and brown trout. All the benefits of saltwater without the sharks and salt! Flats, offshore reefs and shoals, its your choice!